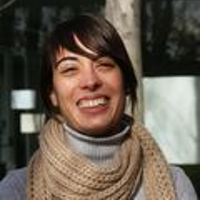 Alba Barbarà is a PhD student in the Department of Business Management at the University Rovira i Virgili (URV). She has studied at the Rovira i Virgili University, and is currently a student at the Open University of Catalonia (UOC). She is researching on issues related to the formation of professional identity among students. She has been working at the URV since 2011 where, in parallel with her doctoral research, she teaches at the undergraduate level (Qualitative Research Methods and Human Resources Management).